Poolside Massages can be Booked through Senses. 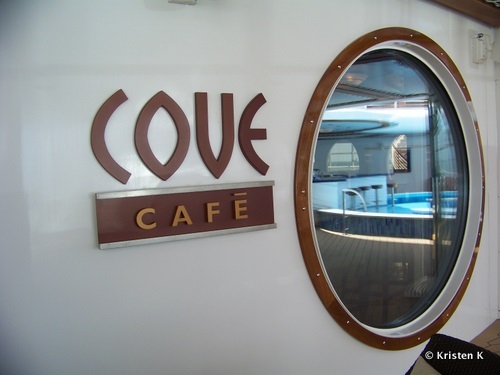 With it's beautiful Art Deco Style, the Cove Cafe is open from (7:00am to midnight daily. Here you can find "magazines and books, a large flat-screen television broadcasting the latest national news, as well as WiFi-enabled cafe laptops (available at an additional charge) to surf the Internet and check email while at sea. Flo's Cafe Counter Service Restaurant is located just past the privacy wall a few steps away from the Quiet Cove Area. Many adults will bring back a bite to eat from this quick-service option that serves healthy options like fresh fruit, salads and sandwich wraps along side the burgers and pizza. 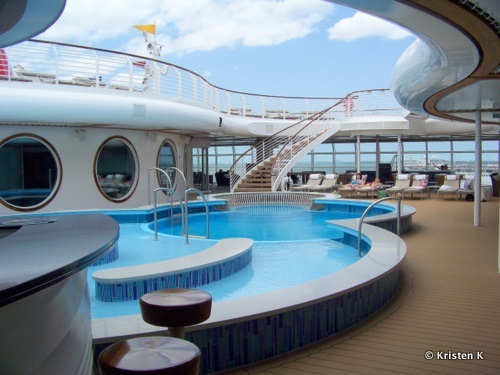 I must admit that I spent quiet a bit of time relaxing in this great adults only area onboard. Though it's just a short walk from the main pool and all it's loud, busy activity, the Quiet Cove area seems like it's a world away from all that. 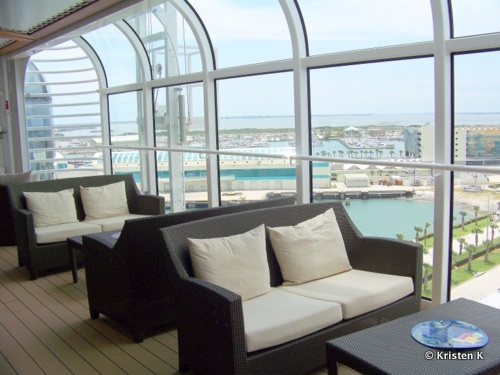 What do you think about the adult only areas of the Disney Cruise Line? Would they make you more likely to take a cruise? Do you think that you would make use of them on board? Leave a comment and let me know if you like the concept of DCL's adult only spaces. What a lovely place to stay! I wish I could be there once! It's very nice there is a place for "Adults only". And by the way art deco is my favorite style. Thank you for very nice pics. Well done.